Small wedding cakes seems to be the trend recently. 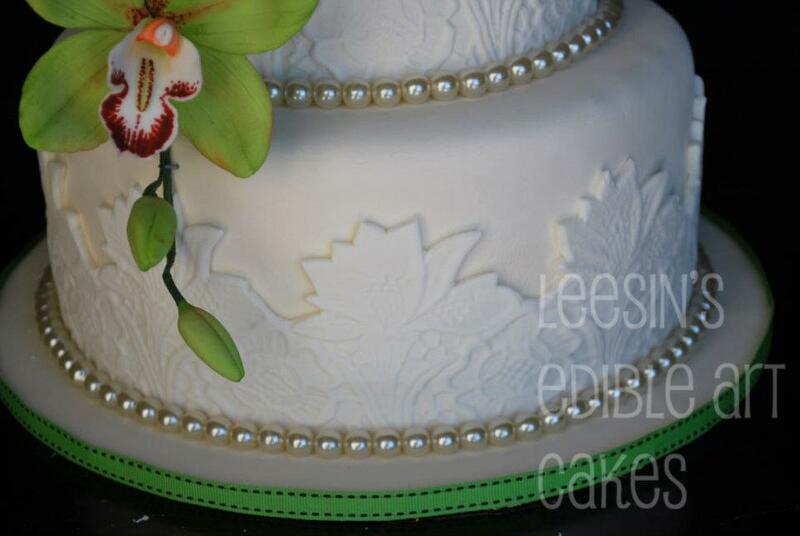 I used a real pearls for this cake. 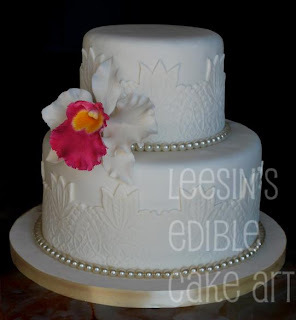 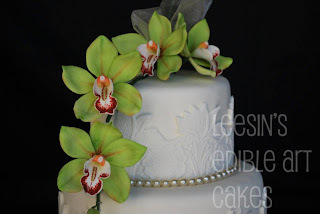 The white cake is covered with sugar laces and acentuated with a large sugar cattleya. 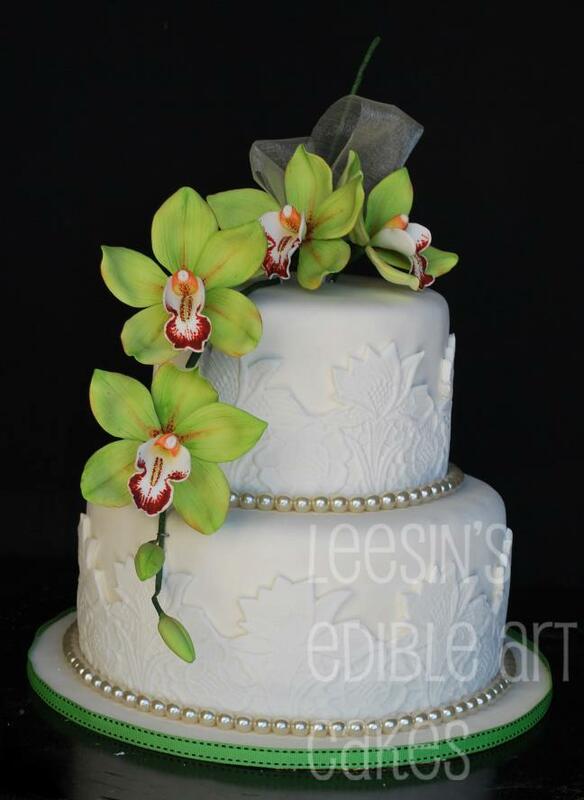 The couple wanted something small and simple. 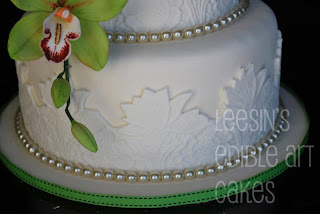 The bride loved the lace effect on the top cake and wanted something similar. cake but only in sugar! 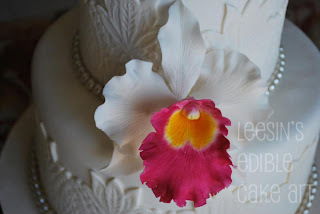 They loved the idea.